If this is your first visit to the region and you want to get out and explore everything the Whitsundays has to offer, we have a wide range of incredible experiences available from right here within our marina precinct. Whether you are looking to skipper yourself on a bareboat holiday, head out snorkeling or to Whitehaven beach for the day, explore the bay on a Jetski or take a scenic flight over the Great Barrier Reef, Abell Point Marina’s award-winning tourism operators provide you access to all this and more. Choose your aquatic experience and get ready to make memories to last a lifetime. The Abell Point Flight Collection with Helireef provides a dedicated helicopter service in and out of Abell Point Marina. Based on the custom built dual helipad in the north marina on the rockwall breakwater, this unique landing spot gives a superb vantage point over the region from the start of any flight. We can offer transfers to/from Proserpine Airport & Hamilton Island Airport direct to Abell Point Marina and out over the Whitsunday Islands. As well as golf tour flights, scenic flights, reef flights and private flights to a variety of select locations. Enquire today about your next heli-adventure. Airlie Adventure Central offers the best things to do in Airlie Beach to thrill and excite with Airlie Beach’s premier adventure activity operators. Airlie Adventure Central’s mission is to share what makes Airlie Beach so special and provide the ultimate Whitsunday experiences! 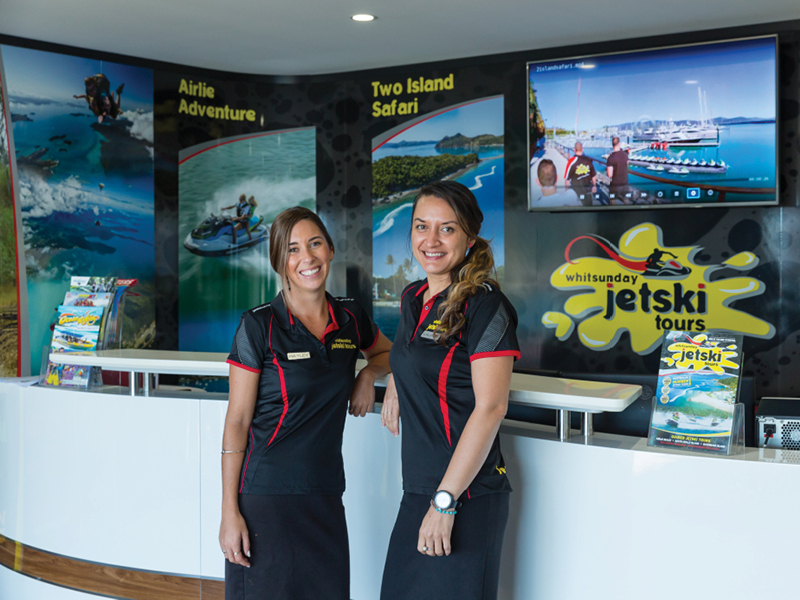 Come and visit the awesome team to explore the best Airlie Beach has to offer for adventure enthusiasts in one convenient place to maximise your enjoyment whilst in the Whitsundays. The adventure hub is located at Shop 3, Abell Point Marina South Village. 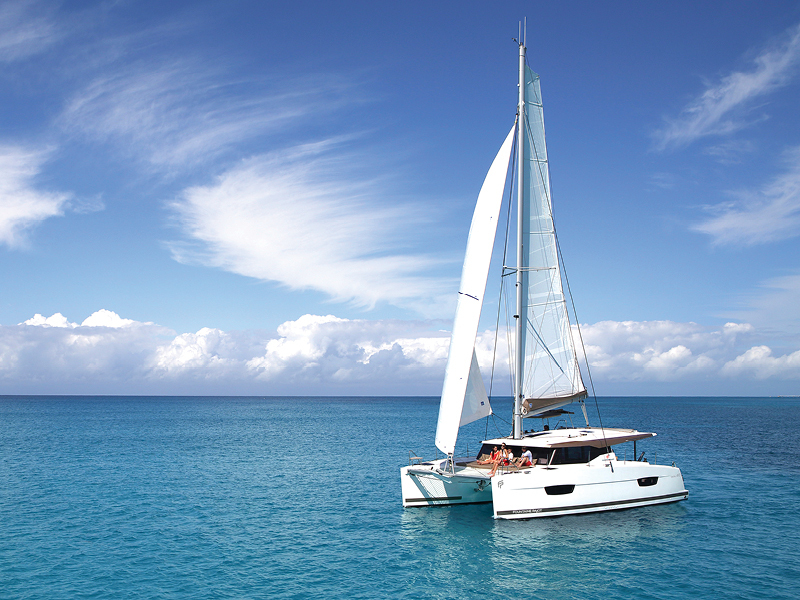 Charter Yachts Australia operate a modern fleet of skipper yourself bareboat charter vessels from Abell Point Marina, Airlie Beach with delivery options also available from Hamilton Island. No license is required, just basic boat handling experience or a willingness to learn. Our team of bareboat specialists will be on hand to guide through the selection our 20+ fleet of yachts, sailing & power catamarans ranging from 32 to 46 feet. With options for all budgets, boating abilities and up to 10 crew, Charter Yachts Australia gives you the chance to experience the Whitsundays at your own pace and create your own adventure. Cumberland Charter Yachts is an award winning bareboat charter company offering holiday makers the chance to create a lifetime of memories that exceed all expectations. No licence is required as a comprehensive briefing is provided by a qualified, local skipper. Hire a Sail Guide or Host if you prefer to have someone else do the navigating and meal preparation for you. 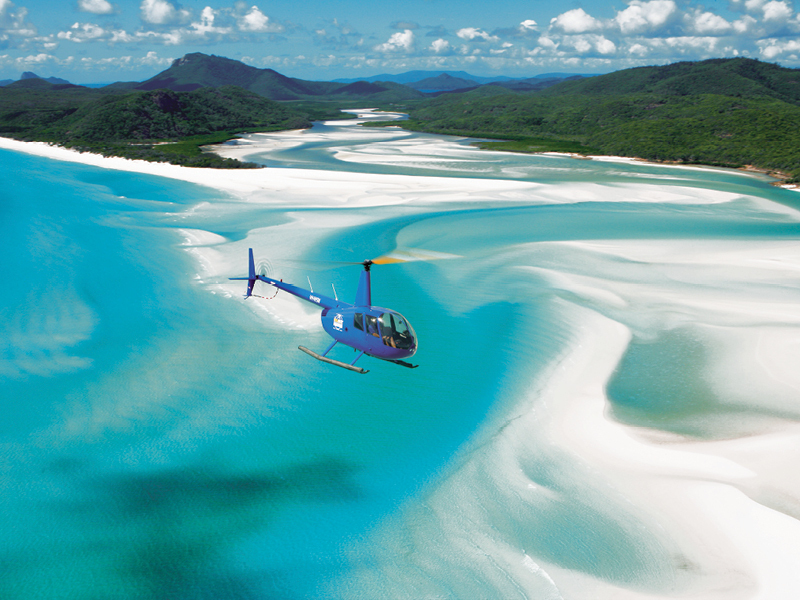 Explore secluded bays, tranquil anchorages or sun yourself on world famous Whitehaven Beach. 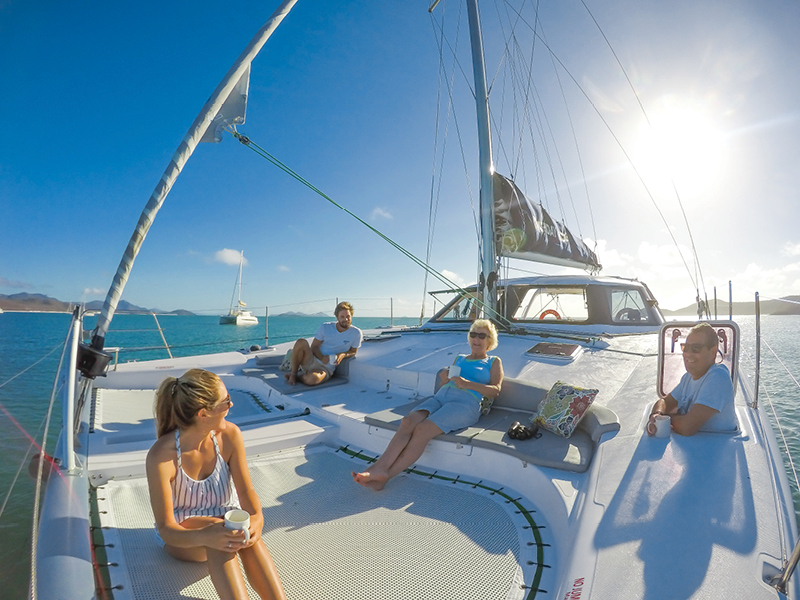 Choose from sailing yachts, sailing catamarans or power catamarans and be the captain of your own destiny as you cruise the waters of the Whitsunday islands on board your very own private yacht. Multi award-winning Ocean Rafting offers two exciting day tour adventures, with each tour offering an exhilarating ride to Whitehaven Beach, pristine snorkelling reefs and guided National Parks walks. Ocean Rafting has access to stunning and iconic Hill Inlet, and snorkel sites at Hook and Border Islands ensure a memorable underwater experience. The semi-rigid inflatable vessels are super fast allowing guests to experience a fun ride, adventure and education amongst the beauty of the Whitsundays. We’ve the largest and most diverse fleet in terms of models and manufacturers in the market. We offer the widest range of destinations, from the pink sands of the Caribbean to Europe’s thousands of islands, and here in the magnificent Whitsundays with Queensland Yacht Charters member of Dream Yacht Charter on home turf. Find a bareboat, crewed or by-the-cabin charter or speak to our specialist team about our high maintenance standards, exciting custom itineraries and hidden gem recommendations. With over 45 destinations worldwide and over 1000 vessels in our fleets, from monohulls to catamarans and power boats we have the perfect vessel for you. 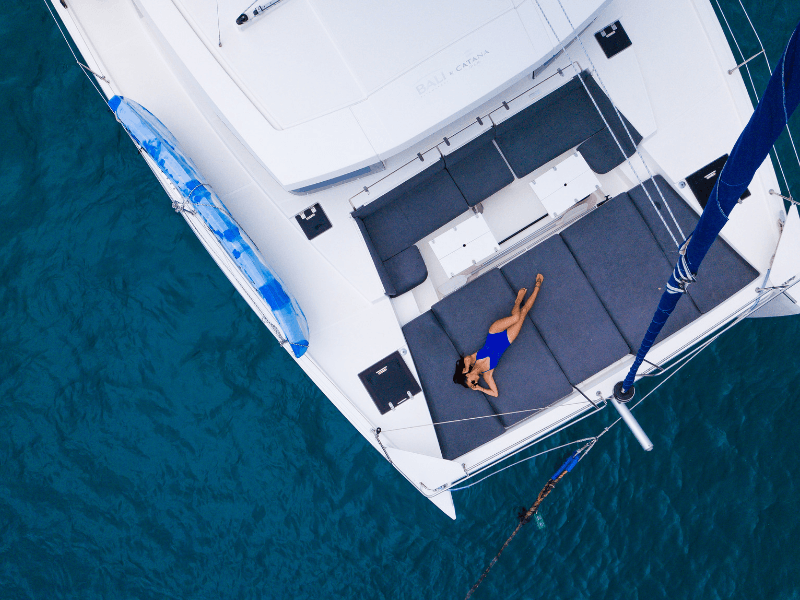 If you’re hooked on sailing, ask us about our 5 ownership programs, to own your boat and place it in charter with us, it’s the easy way to buy a boat, choose from 8 high end manufacturers and the NEW Bali Catamaran Range, the epitome of contemporary lifestyle living on the water, or check out our brokerage for new or used boat ownership deals. Red Cat Adventures is a multi-award winning Australian owned charter boat company providing exceptional trips around the Whitsunday Islands. We place absolute importance on ensuring every trip is an amazing experience for our passengers, 365 days a year. 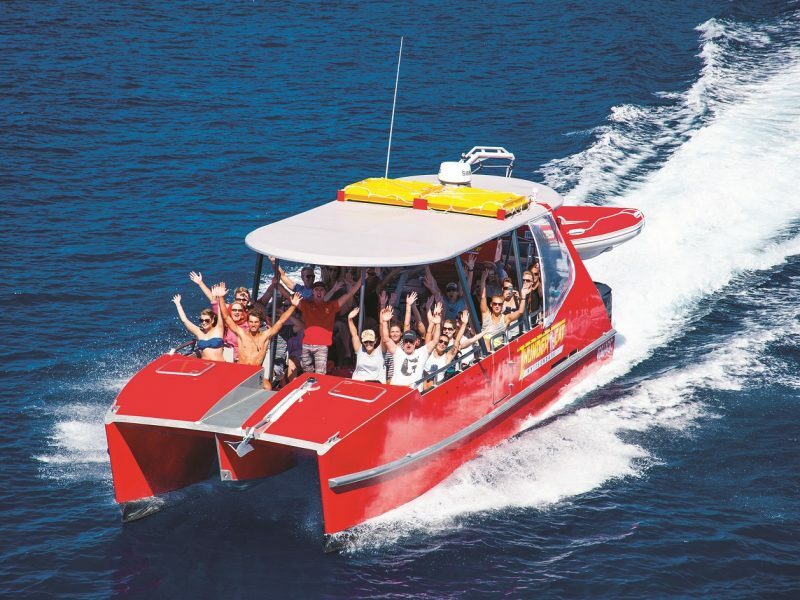 Thundercat is our exhilarating day boat that suits a wide range of travellers. Tongarra is a 2-day 2-night sailing experience aimed at fun-loving backpackers. Ride to Paradise is an all-inclusive 2-day 2-night resort stay package. Paradise Cove Resort is a privately-owned estate fringed by white sand and towering coconut palms. As a small family-operated business, we focus on creating safe, fun-filled adventures of excellent quality at an affordable price. Whitsunday Escape offer a most unique holiday experience in paradise with “Skipper Yourself Bareboat Charters”. You choose the itinerary, pace and adventures to explore the tropical Whitsundays Islands from the comfort of your own floating accommodation. 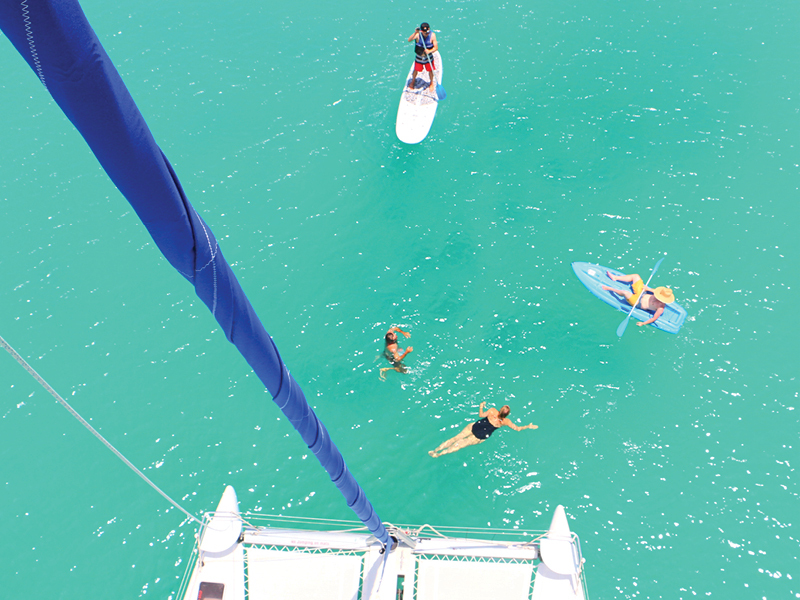 With a modern fleet of over 40 self-contained boats Whitsunday Escape will have you on the water in style. No licence is required, just some prior boating experience, as you will receive a comprehensive briefing before you set out on the holiday of a lifetime. Whitsunday Escape have won numerous awards at the Whitsunday, Queensland and Australian Tourism Awards for Unique Accommodation over recent years making them the industry leaders in Australia. 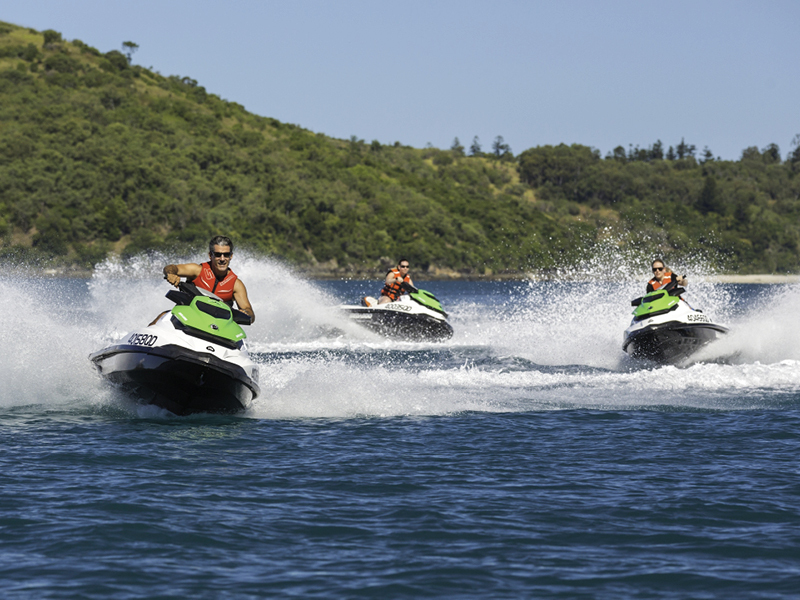 Multi award winning Whitsunday Jetski Tours offers exciting adventure tours in the Whitsundays and is the first and only guided jetski tour operating from Abell Point Marina, Airlie Beach, to the Whitsunday Islands. 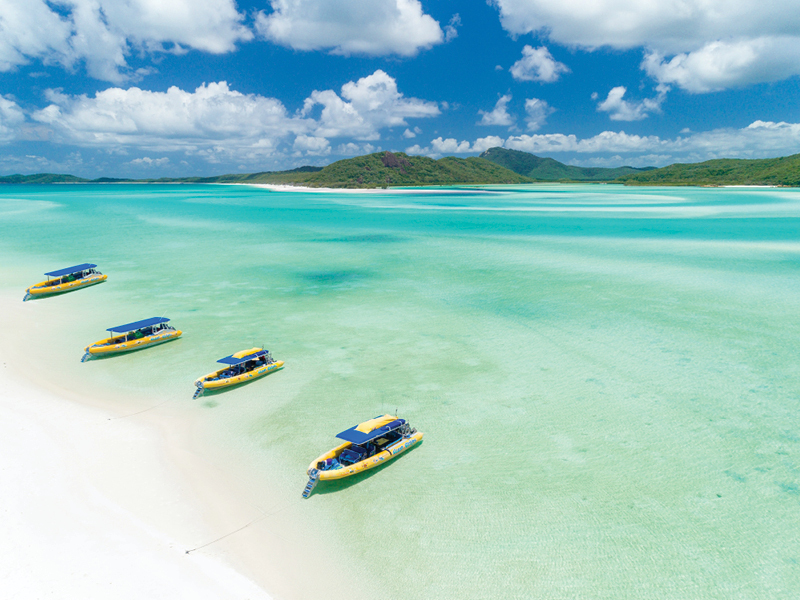 Guests can ride the latest model jetski into the beautiful world heritage Whitsunday Island Marine Park. 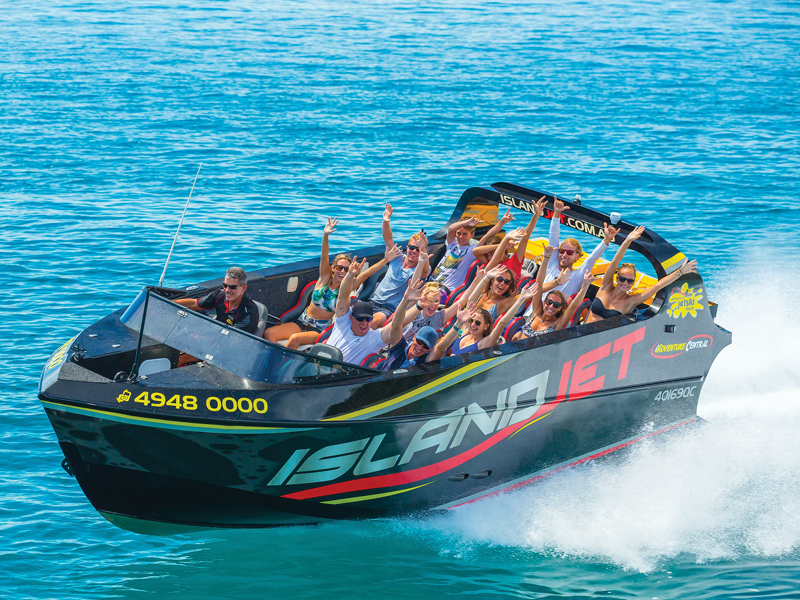 Three tours operate daily, the Bay Blast, a blast around Pioneer Bay and scenic bays off Airlie Beach, the Airlie Adventure, also known as the ‘Turtle Tour’ with sea turtles often encountered and the Two Island Safari, a jetski adventure incorporating the waterways of South Molle and Daydream Islands. No license is required and no experience is necessary.